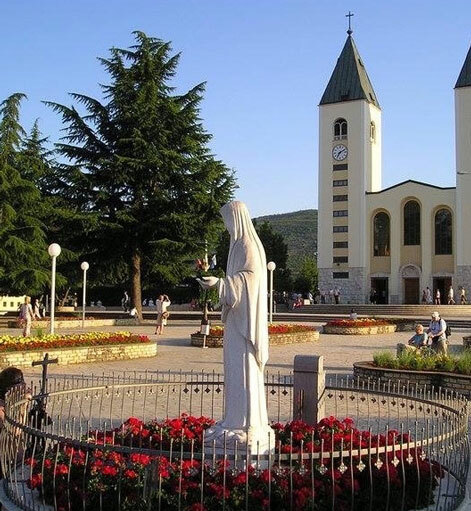 MEDJUGORJE is the name of a small town located in the mountains of Bosnia Herzegovina. 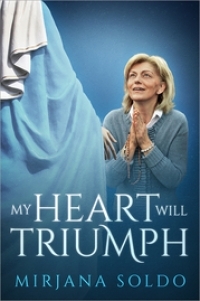 However during the past 35 years, the word "Medjugorje" has become synonymous with the miraculous apparitions which have been taking place there. It all started in June, 1981, when the Virgin Mary began appearing to six young teenagers in this remote mountain village in former Yugoslavia, now Bosnia Herzegovina. The apparitions have continued as of this writing in 2016. Our Lady's basic message to the world is a message of peace, teaching the world to come back to God and to daily prayer. Our Lady gives us five stones by which to live: Prayer, Fasting, Daily Reading of the Bible, Confession and Eucharist. 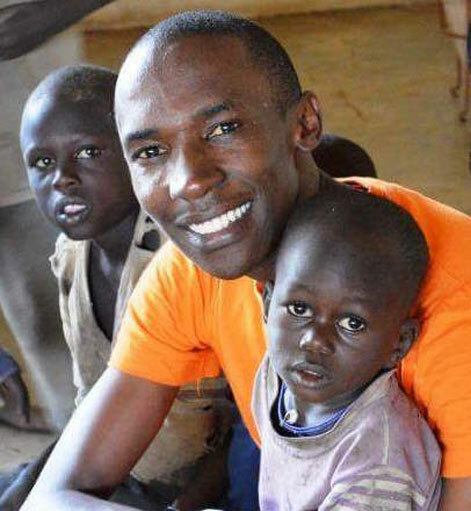 Currently we have three charities with our main focus being our "Feed My Children" charity in which we feed about 1500 people a day in Karamoja, a remote region of northeast Uganda. 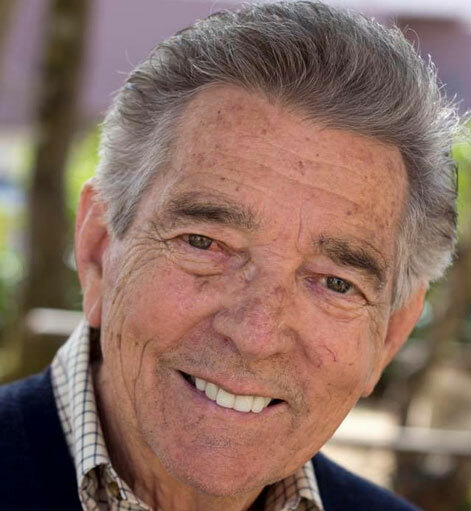 We depend on the kindness of donors to support these charities and we take no salaries or expenses for funds earmarked for our direct charities. This 2019 year has been a wonderful year so far! 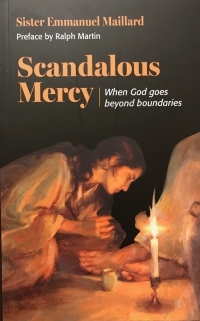 We have increased our selection of book titles adding a wide selection of books by Fr. Slavko Barbaric and various other authors. 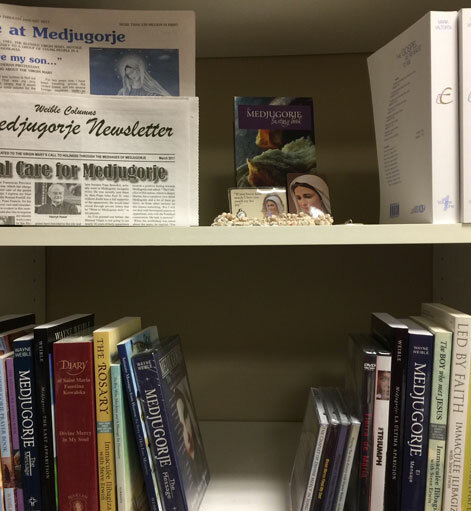 We have continued our monthly newsletter keeping everyone up-to-date on the happenings in Medjugorje amoung other things. 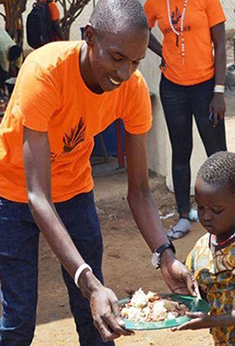 Our charitable work has continued in Africa and Coumbia. This year we hope to complete two more wells along with water-pump windmills to irrigate crops fields in Uganda. 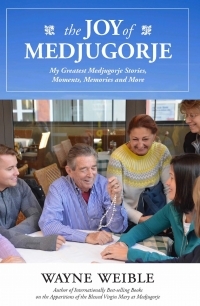 Our "Weible Pilgrimage to Medjugorje" will depart on October 30 and we already have a nice group booked. Consider joining us for what we are planning to be a very special trip. Thank you for all your support and look forward to working with you in the future. 2019 Weible Pilgrimage to Medjugorje! Our Lady invites each and everyone of us to a closer relationship with her Son, Jesus. A pilgrimage to Medjugorje gives us this incredible opportunity to meet Mary and Her Son is a very special and holy way. Many graces are poured out upon us while Medjugorje deepening our faith and prayer life. Join us for a wonderful time of love, laughter and sharing and come home renewed in your faith. Weible Columns and 206 Tours will together be hosting a 2019 “Weible Pilgrimage” to Medjugorje. Our pilgrimage will be lead by Medjugorje guide, Slavenka Jelavic, Wayne’s wife, Judith Weible and Fr. Ed., our spiritual leader. I hope you can join us in what will be an incredible week! "Dear children, as a mother who knows her children, I know that you are crying out for my Son. I know that you are crying out for truth, for peace, for that which is pure and not deceptive. That is why I, as a mother, through the love of God, am addressing you and calling you that, by prayer and a pure and open heart within yourselves, you may come to know my Son - His love, His merciful heart. My Son saw beauty in all things. He seeks the good in all souls-even that which is little and hidden-so as to forgive evil. Therefore, my children, apostles of my love, I am calling you to adore Him, to ceaselessly give Him thanks, and to be worthy. Because He has spoken to you divine words, the words of God, the words which are for all and forever. Therefore, my children, live joy, radiance, unity and mutual love. This is what you need in today's world. 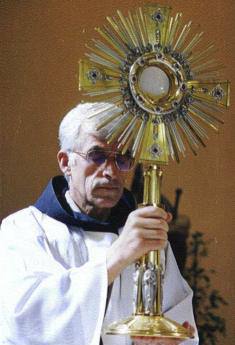 In this way you will be apostles of my love. In this way you will witness my Son in the right way. Thank you"